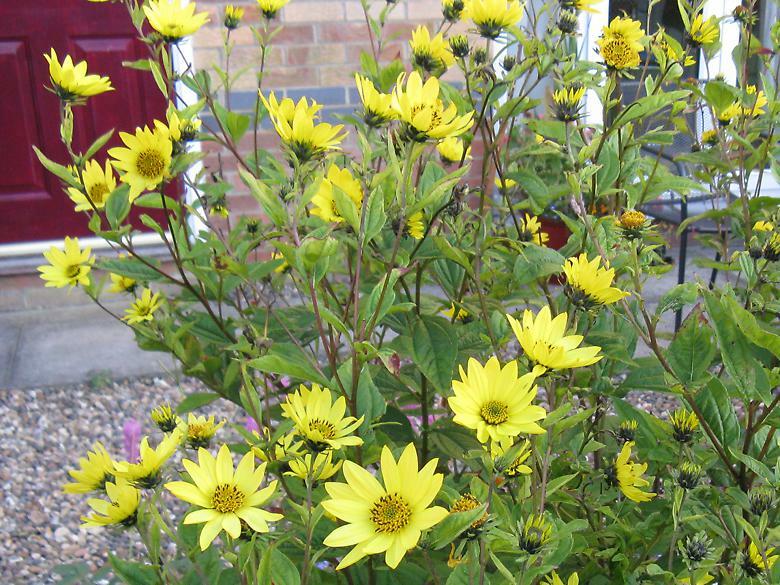 The Helianthus 'Lemon queen' has been flowering for quite some time, but it now appears to be at its peak with more flowers than buds, rather than the other way around. 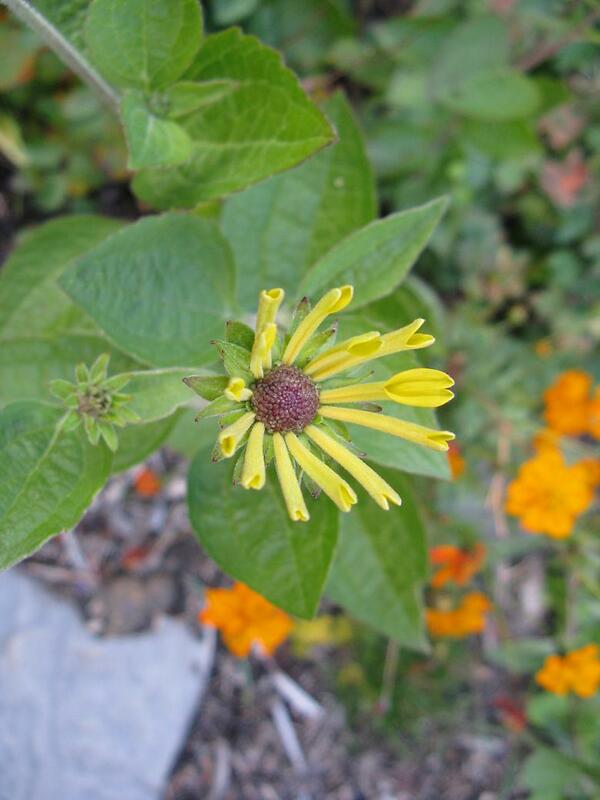 This is Rudbeckia 'little henry'. I got this because it was half price, rather than a considered purchase, and it is a bit of a disappointment so far, compared to the R. 'Goldsturm'. 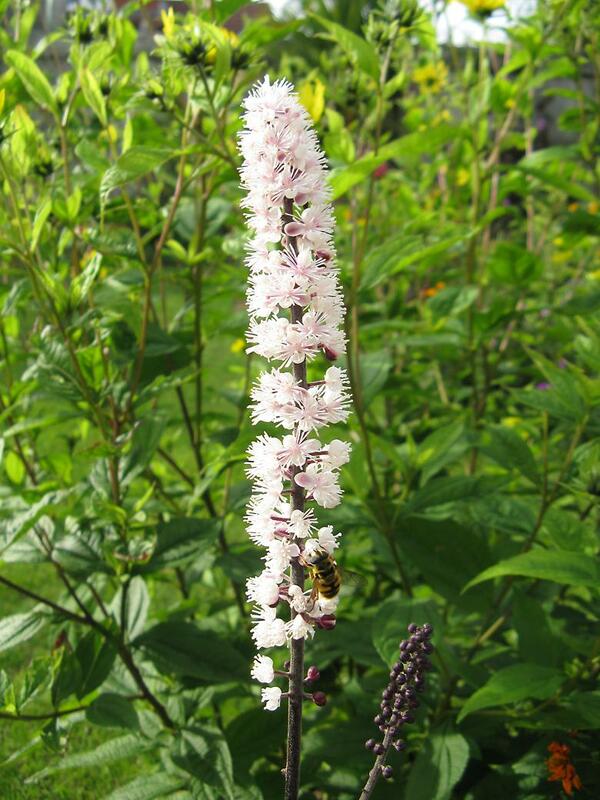 It hasn't grown very well and the flowering stems are all spread out at different angles. 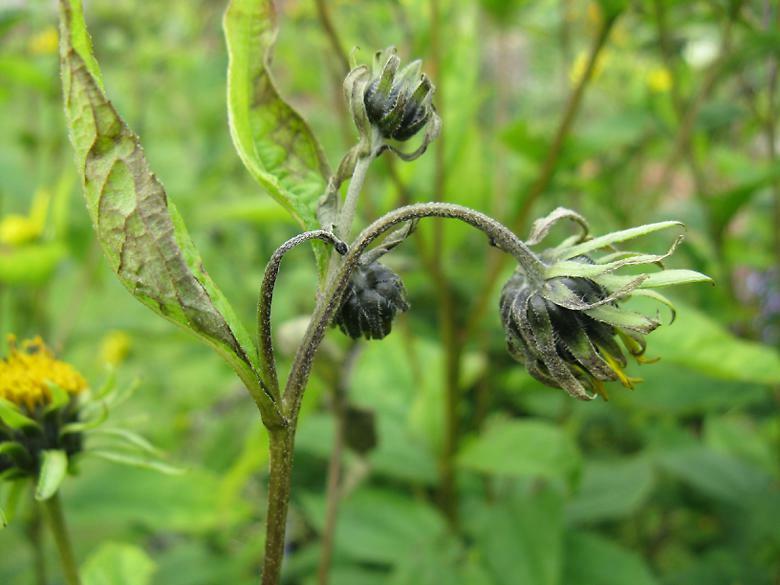 The petals are meant to be rolled up, so I'm not sure if the flower is completely out yet. 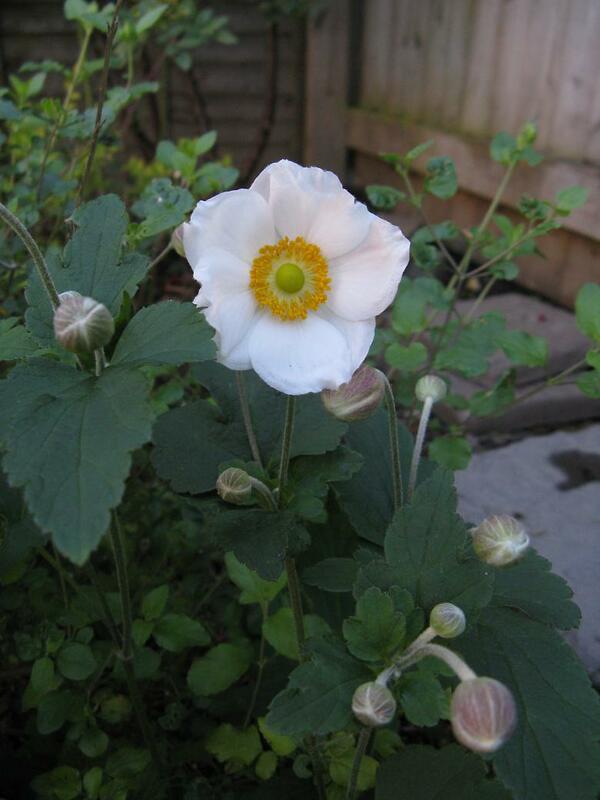 Here is the first flower this year of the Anemone × hybrida 'Honorine Jobert'. It flowered last year, but there are many more buds this year. 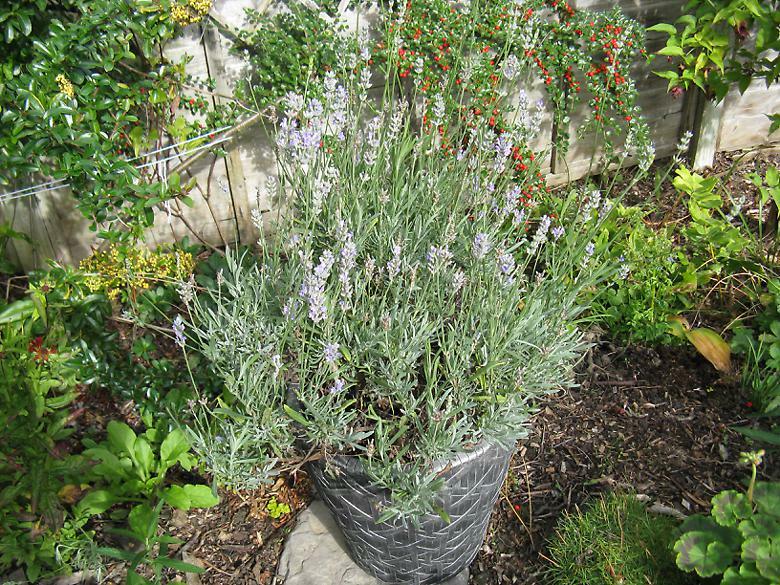 It is still only about 50cm tall, but it is expected to be two to three times that when fully grown. There was some heavy winds during the second part of the month. It seemed to dry out some of the plants in the most exposed areas, rather than causing a lot of breakages. Compare with last year. 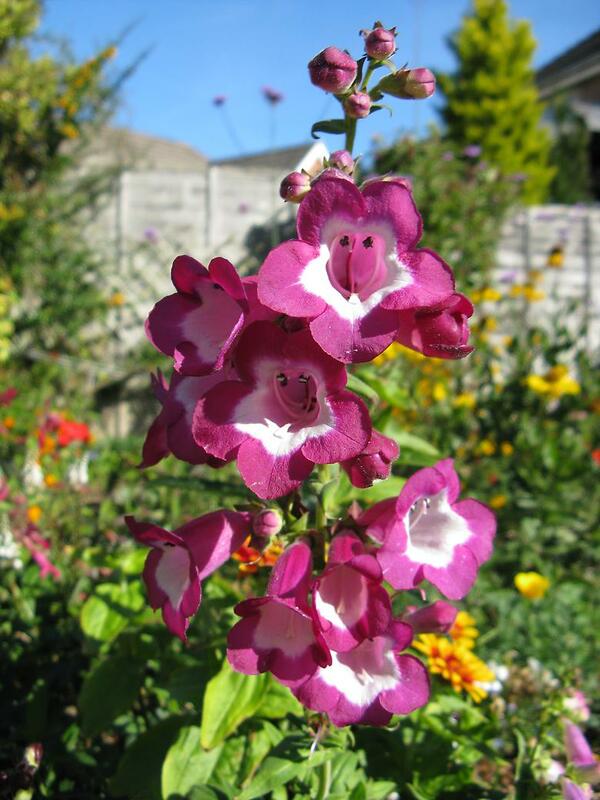 This year is similar, apart from there being far more plants this year many of which are flowering. 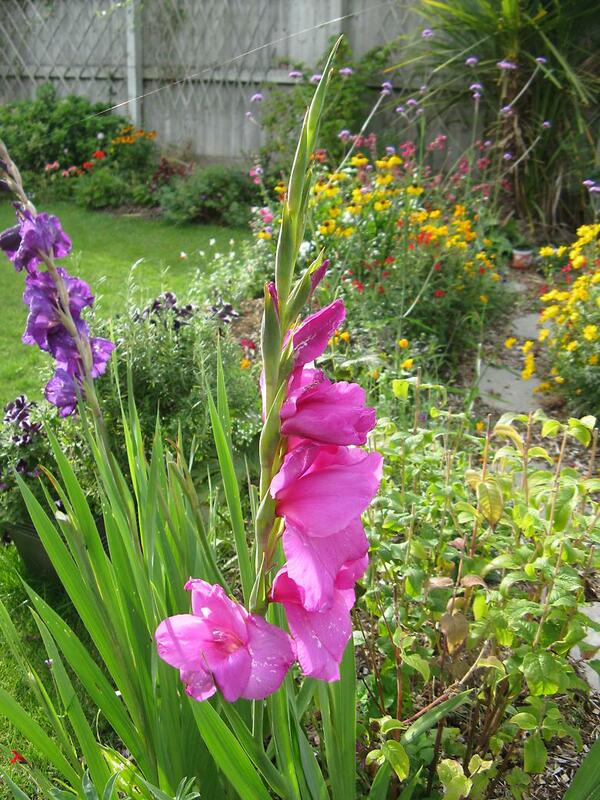 There are still a few gladioli opening up. This pink one is in among the blue ones. I don't remember planting anything other than the blue ones here. Not saying I definitely didn't, just that I don't remember doing so. Well this is much reduced on last year. It did not grow much at all during the hot and dry part of the year. The flowers were very short too. Now it is doing better and the flowers are more normal size again. Plenty of sun this week and it was really warm on a couple of days although windy, then the wind dropped along with the temperature. 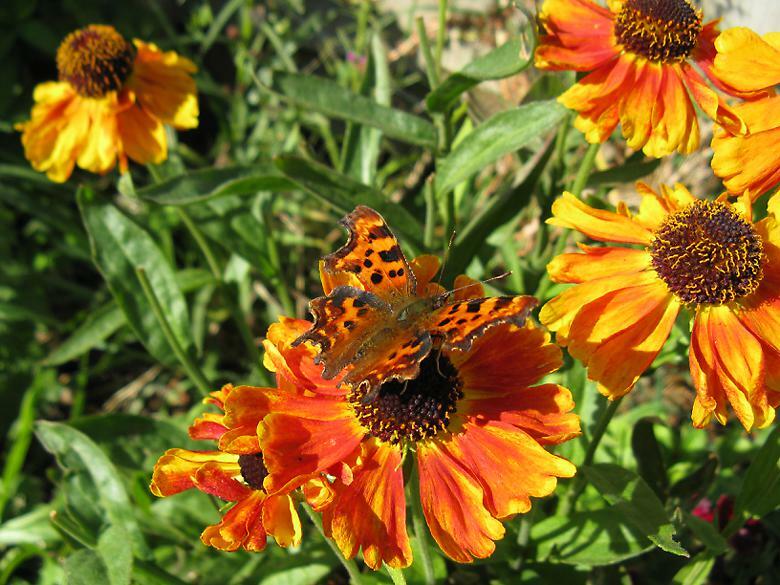 This is Helenium 'Mardi Gras' with a comma butterfly blending in fairly well. 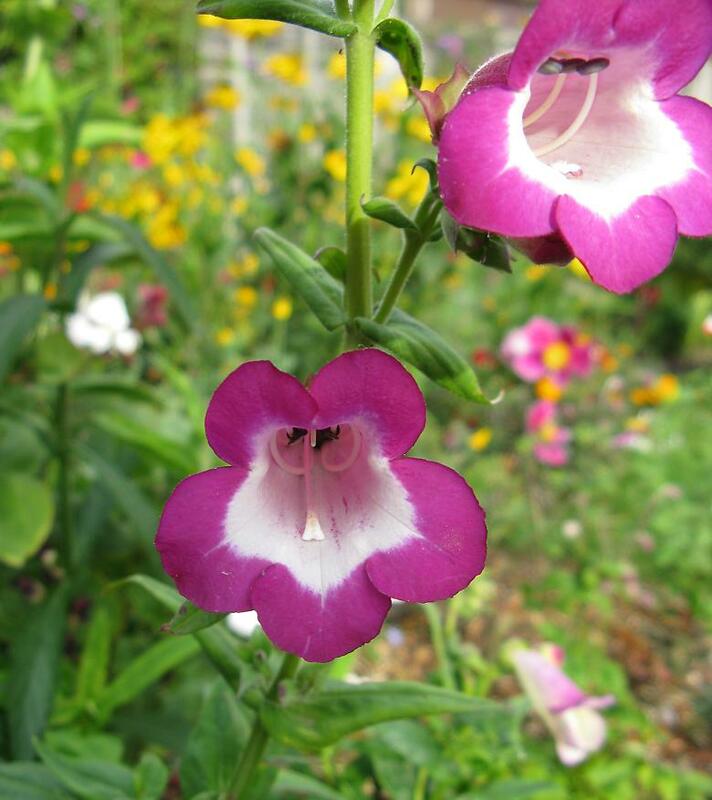 I grew a few Penstemon from seed this year. I wasn't sure if they would flower the first year and of course they may not survive the winter anyway - the one I had last year didn't. So very pleased to see this. There is another one which is starting to open which is a very, very light pink almost all white really. Does that top one look like a face, or is it just me?